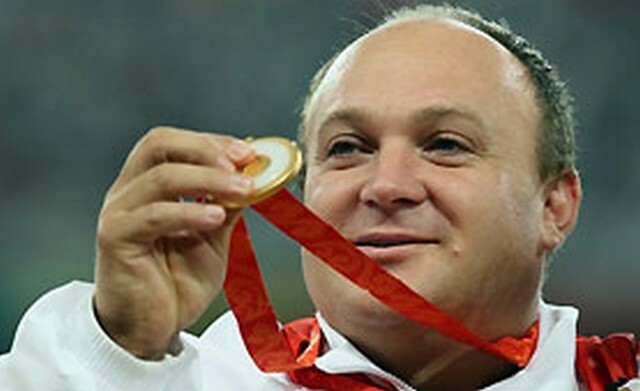 Darko Kralj won the Gold in the Men's Shot Put - F42 Final at the National Stadium during day four of the 2008 Paralympic Games on September 10, 2008 in Beijing, China. 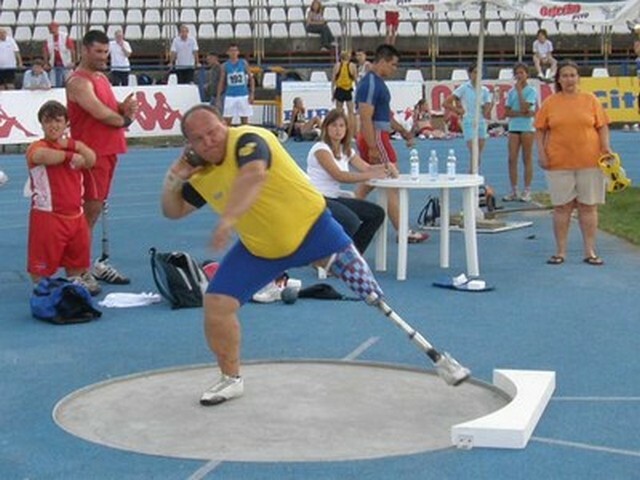 Kralj claimed the gold medal with a result of 14.43 meters and set a new world record at the National Stadium in Beijing. 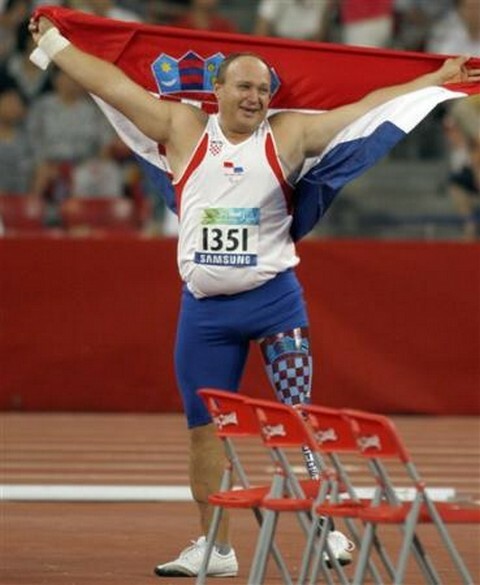 It is also the first Croatian medal on this Paralympics Games. He was the only one who shot over 14,00 metres. 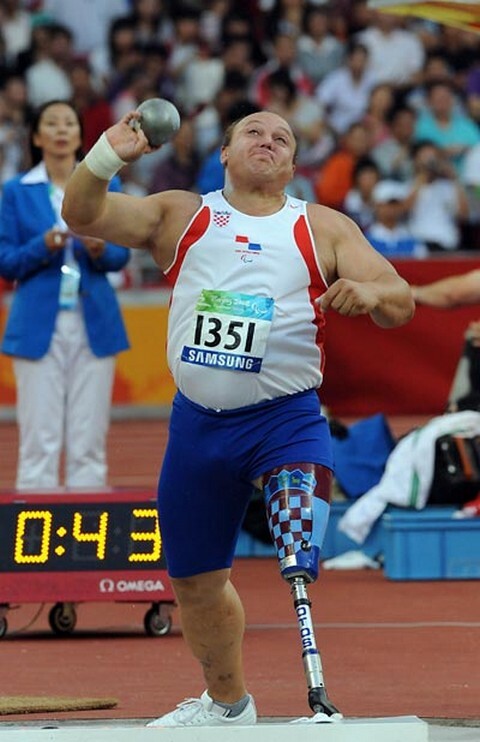 Kralj came to Beijing as a world record holder in his category (14,04 m) and proved his title now. He was improving his world record five times at the competition. After winning the medal Kralj said: "My biggest wish was to listen to the Croatian anthem in Beijing." He dedicated his win to his wife Terezija and to his sons Mark, Ivan and Josip, and to the citizens of his native town of Grubišno Polje. Mr. Kralj lost his left leg in the Croatian town of Dalj during the Serbian aggression on Croatia. This was a result of savage rocketing of the town, and at that time he was at the age of 20. After a very difficult operation in which his left leg was amputed, he did not give up. He started his family life with his wife Terezija, blessed with three children: Marko, Josip, and Ivan (7, 4, and 3 years old).